Located a few kilometers from Mara Plains Camp on the bank of the Ntiakitiak River in the Maasai Mara National Reserve. 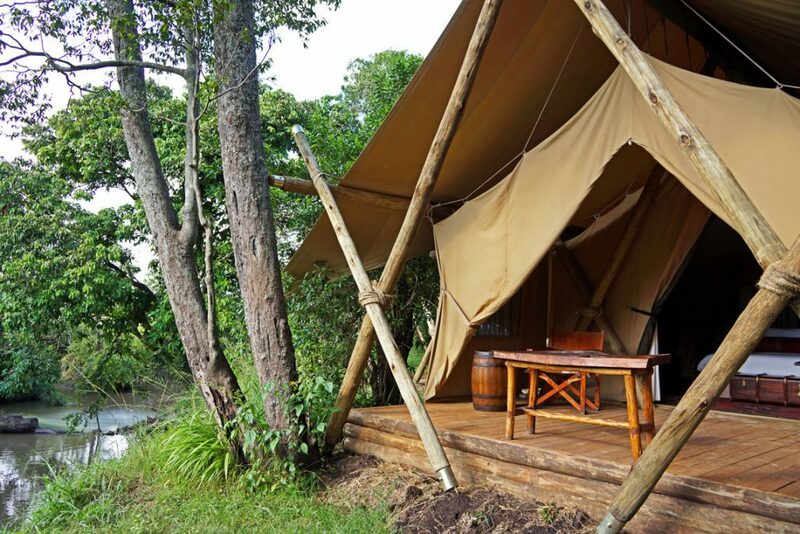 This is a seasonal camp open from June to October allowing the guests to have the maximum wildlife experience within the Maasai Mara Reserve. It is a perfect hideout for this intimate camp set at ground level and shaded by the forest canopy, the tents forego fancy amenities but still leave you wanting for nothing. The bathrooms have flush toilets and bucket showers with hot and cold running water. Mara Expedition camp is which is a non permanent camp. 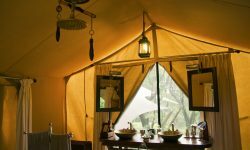 There is a air of yesteryear in the Mara Expedition Camp’s design, which draws which draws stylistic reference from old, authentic expedition camps of the colonial era. 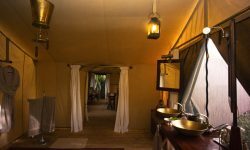 Mara Plain Camp can accommodate 10 guests sharing in 5 tents, Children from 8 years are welcome . Families will be joined by other guests on all scheduled game viewing activities. The Camp is designed to give a marvelous combination of romance, adventure. Note that this camp does not have private game drives. The camp is situated in the prime leopard country and the annual wildebeest migration passes in front of the tents offering you a chance to witness one of the miracles of Nature from your verandah.